BS(N), University of Missouri, Columbia, Mo. PhD, University of Missouri, Columbia, Mo. Vogelsmeier, A.A, Farrah, S.J, Roam, A., Ott, L. (2010). Evaluation of a leadership development academy for RNs in Long Term Care. Nursing Administration Quarterly, 34(2); 122-129. DeSilets, L. and Farrah, S.J. (in press). Continuing nursing education 101. Journal of Continuing Education in Nursing. Farrah, S.J. (2003). Lecture. In M.W. Galbraith (Ed. ), Adult learning methods: A guide for effective instruction (3rd ed.). Melbourne, FL: Krieger. Farrah, S.J. and Graham, S.W. (2002). Variables influencing the likelihood of practice change after continuing education. Adult Education Quarterly, 49(3), 2-13. Previously published in Journal of Continuing Higher Education, 49 (2001), 2-13. Previously published in Educational Resources Information Center (ERIC) (2000). A continuing nursing education administrator for 24 years, Dr. Farrah directs the Nursing Outreach unit, the primary educational outreach arm of the school. Her prior experience includes teaching in both junior and senior colleges as well as at MU. Her practice experience includes positions as staff nurse, team leader, primary nurse, education nurse, research nurse, and staff developer, all in hospital-based settings, in both rural and metropolitan areas. 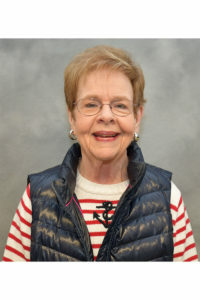 She serves as a reviewer for the Journal of Continuing Education in Nursing and has published in journals such as Nursing Educator and the Journal of Continuing Higher Education. She has been nationally certified in the area of continuing education and staff development through the American Nurses Credentialing Center since 1992. During the past five years, Dr. Farrah has received $551,417 in competitive grants and contracts. She has directed projects with topics from continuing education for school nurses, to maternal child health, to transferring geriatric research into practice, to a leadership development for RNs in long-term care. Donald W. Fancher Provost Award for Outstanding Achievement in Extension and Continuing Education (2013).